Paneer parathas are perfect for lunch boxes. Proetin plus Carb in one go! 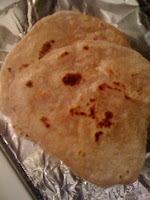 Nutritious parathas. And delicious too. Even i can have this paratha even everyday, healthy paratha..
yummy paratha,first time here,following you.Please do drop at my space.